…rain, snow, or is it rain? Hitting my window with a sudden plop every few seconds. It took 60 minutes to drive the 10 miles to base in a sudden snowstorm before all the rain/snow/rain started. …Life was simpler before social media. Harder, in some ways, though. For instance, I love having cell phone contact with my daughter. Better safety. …Discussion time again today. Focusing on Founding Brothers and Federalist Paper #1. …red beans and rice for supper tonight. …Light blue jeans, plain pink t-shirt, gray jacket with a pretty gray/silver/purple design. …Chapter 3 revisions for my novel. …A new teen book discussion group for a small group of homeschooled teens in Kodiak. This is going to be fun! …to have to figure out how many writing blogs per day I can read. As Stephen King says in On Writing, when you’re reading and talking about writing, you’re not writing! (paraphrased). And how many friend blogs. Need to leave some time for some news and current events blogs, too. …I’m still on Stephen King’s On Writing. I next want to read Peter Bregman’s: 18 Minutes: Find Your Focus, Master Distraction, and Get the Right Things Done. But I have to find it first. …to re-learn Spanish with Mango online, which is now free to all Alaskans. …I don’t see anything around the house. I’m at the computer. If I can’t see the laundry, it’s not there, right? …A good book and no good reason not to curl up and read. …In On Writing, Stephen King says he reads about 60 books a week. And he’s a slow reader. That’s one a week. I wonder how many hours he spends reading? Think I’ll do some reading AND writing this week. Yep. It’s my knee. This is a picture of the terrible, horrible, awful CORAL REEF INJURY that I sustained while scuba diving in Hawaii during our twenty-fifth anniversary celebration in 2011. I knew you’d feel sorry for me, because, for some reason, Rich and Leah don’t. Actually, this picture of my silly little cut is motivational to me, as one year earlier and 30 pounds heavier, I never would’ve felt comfortable scuba diving. 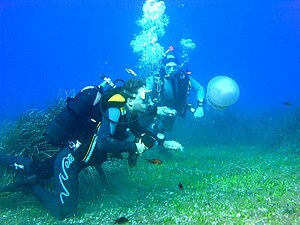 I had enough drive and energy not only to scuba dive, but to have a blast doing so! A diagnosis of diabetes is good for something! Now I’m motivated to work out for the day.